Caution, the pictures on this site are graphic and disturbing. 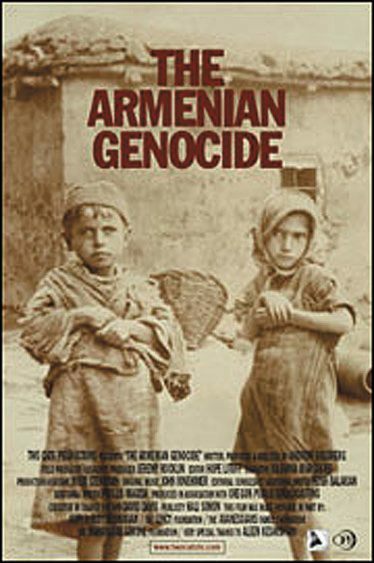 Unknown to many, the Armenian Genocide is considered the first genocide (preceding Hitler and Stalin) of the modern age. The term “genocide” was created to describe this crime. At the risk of sounding churlish, I am forced to ask this question: what will Orthodox prelates in the Old World say when they are forced to acknowledge this great evil? How long will they be forced to carry the water of a resurgent Islamist regime in Turkey? And as an American, why would American bishops Hellenic heritage trade their birthright as free men for the porridge of dhimmitude? George, good question. Btw, The National Herald is reporting Met. Nikitas of the PAOI applied to be a Turkish Citizen. I wonder who else is on the list. Were Orthodox prelates in the Old World involved in the Armenian Genocide? I thought it was just the Turkish government/army. As for the Turkish citizenship question, are they being required to renounce Greek or American or other citizenships, hence your use of the word “trade”? I presumed not, but I could be wrong. Many countries are far friendlier to the idea of dual/triple-citizenship than the U.S. traditionally has been, but IIUC even the U.S. no longer considers taking on another citizenship implicit renunciation of US citizenship, but requires such renunciation to be extremely explicit and purely voluntary; at the same time, the US still doesn’t “recognize” US cits.’ other cit’ships, for whatever that would be worth.